The most likely cause of this error is that the Microsoft Volume Shadow copy Software Provider has been disabled. This essential core service is required to make volume snapshots on your system. 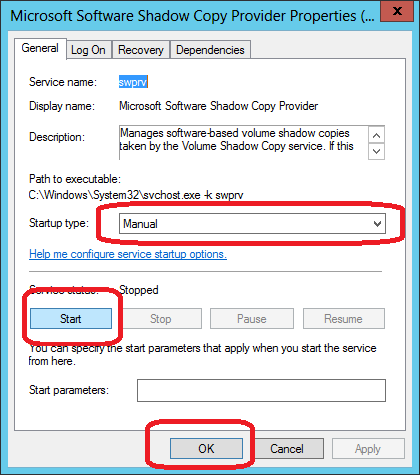 Volume snapshots are used to create disk images and are also used by Windows to create system restore points. 3. 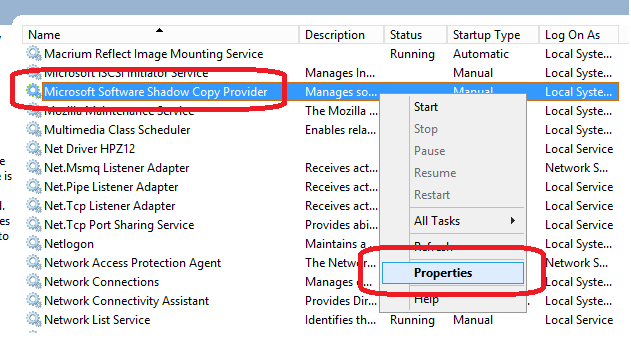 Right click on the service and select 'Properties'. 4. Ensure that the Startup Type is 'Manual'. 5. Click the 'Start' button then 'OK'.